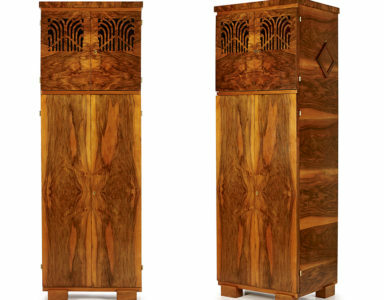 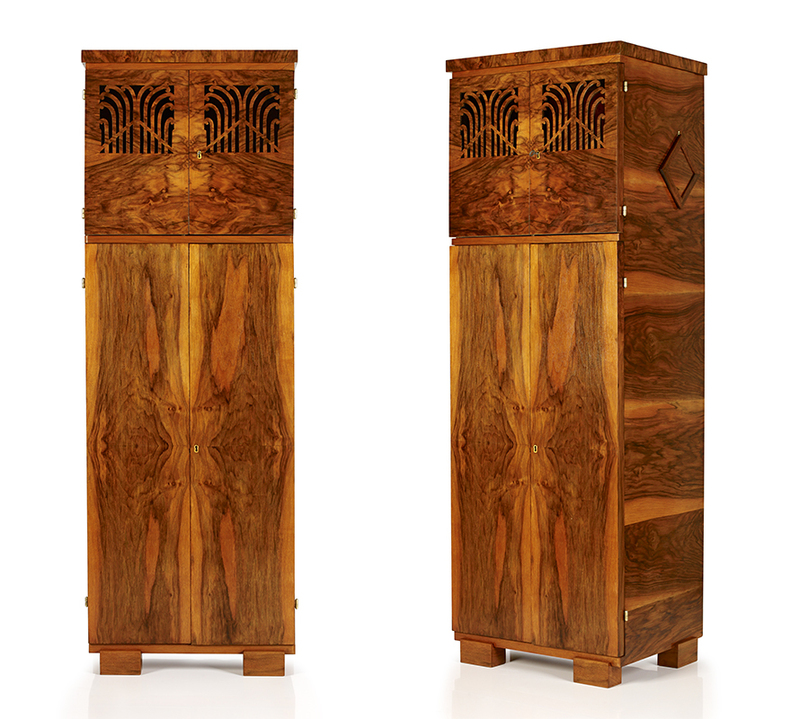 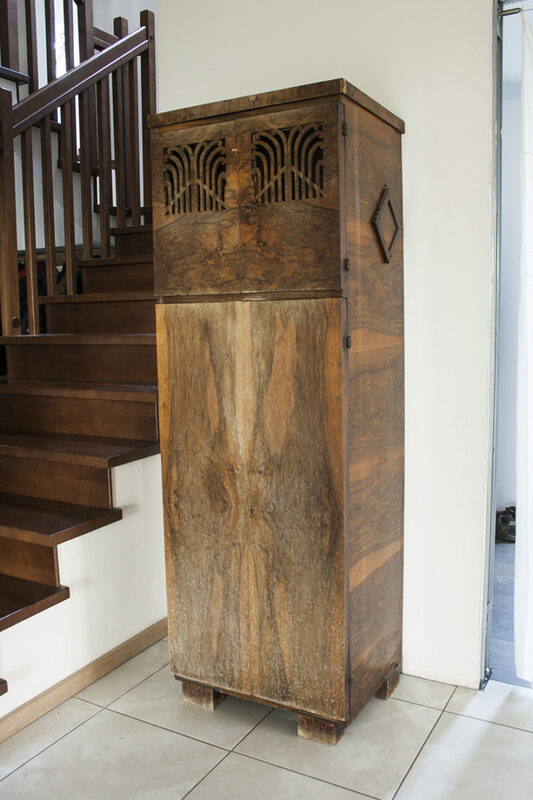 At the beginning of 2014 we received a cabinet from the interwar period. 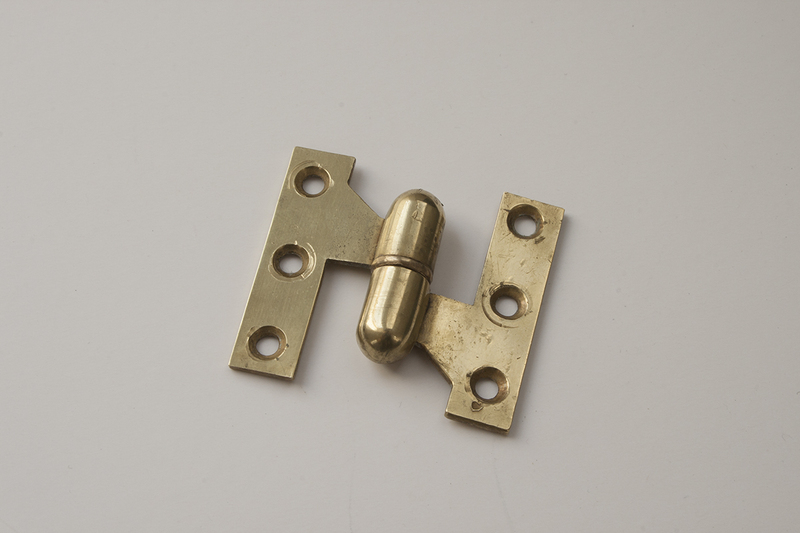 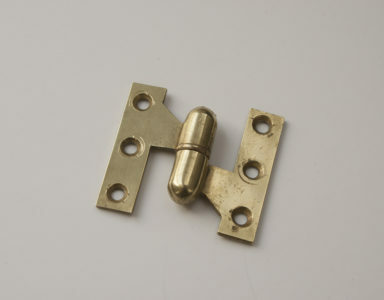 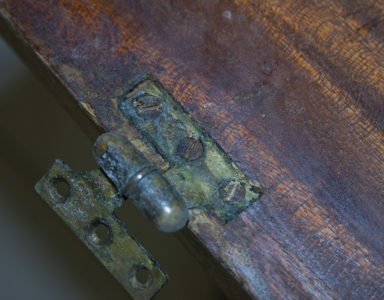 It was found in an old, pre-war tenement house. 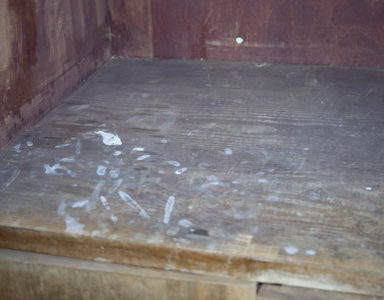 At the first glance we could tell that this piece of furniture has been stored in very bad conditions and high humidity levels. 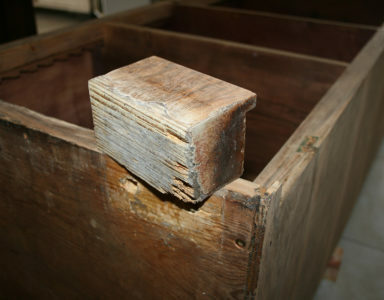 It is possible that it was covered in water on several occasions. 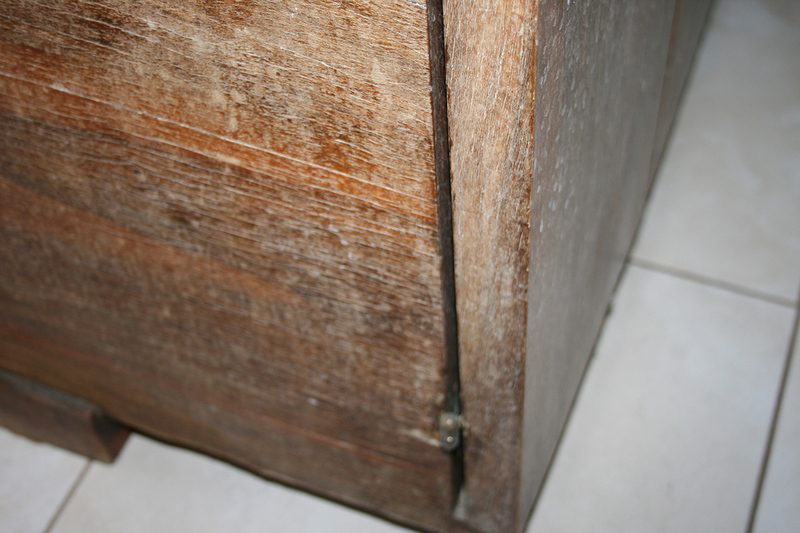 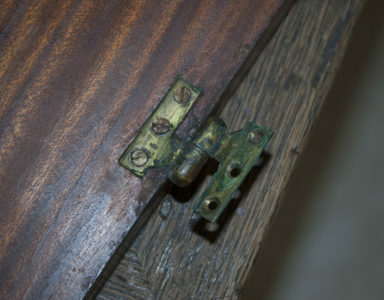 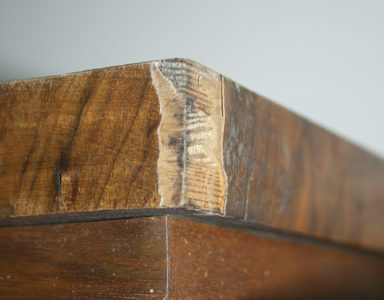 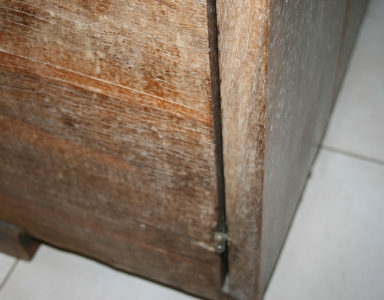 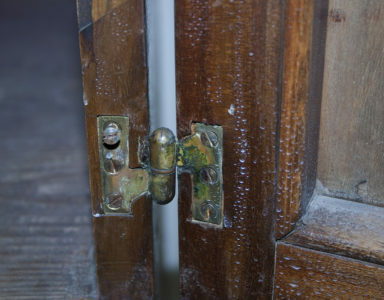 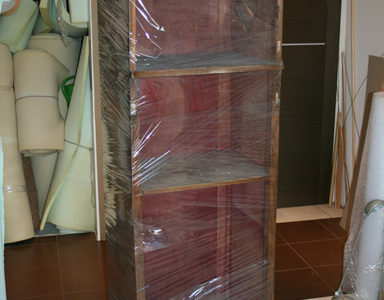 The cabinet was badly damaged, neglected and its door was deformed. 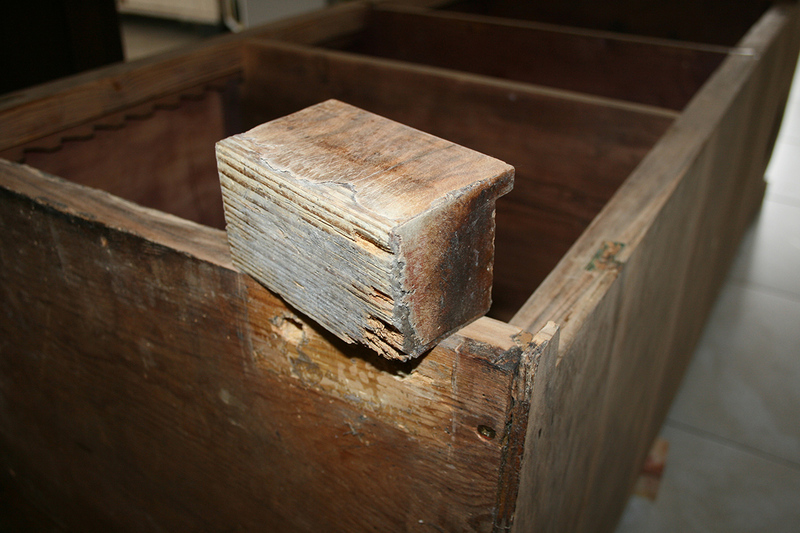 The entire reconstruction process was guided by an important goal. 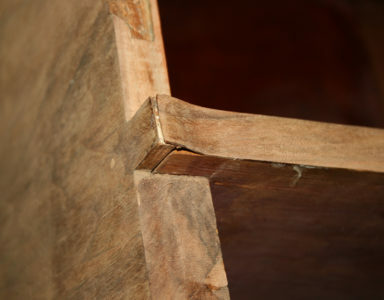 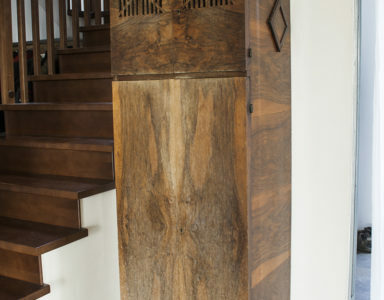 Maintaining as much as possible and saving the veneers which covered cabinet’s walls and door due to their unique and outstanding nature. 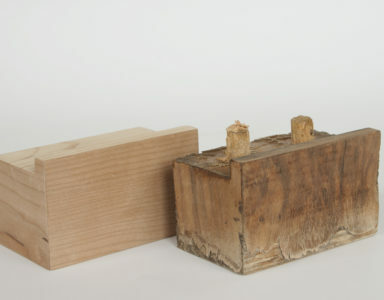 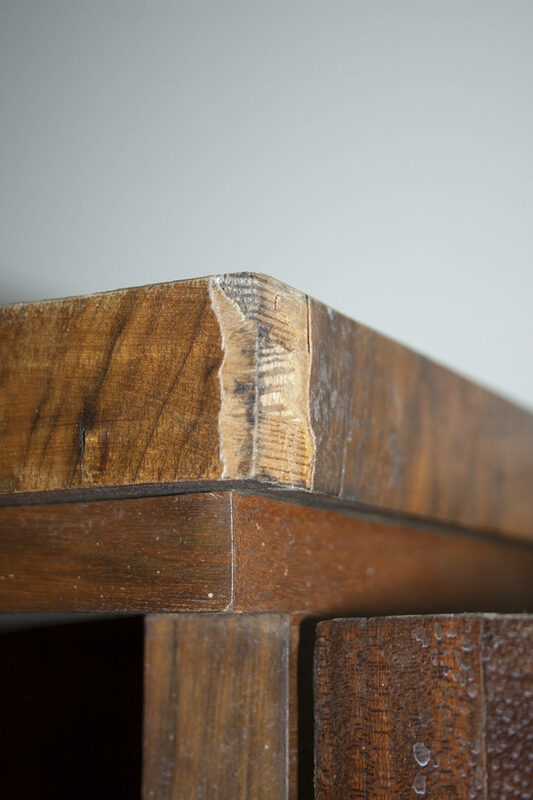 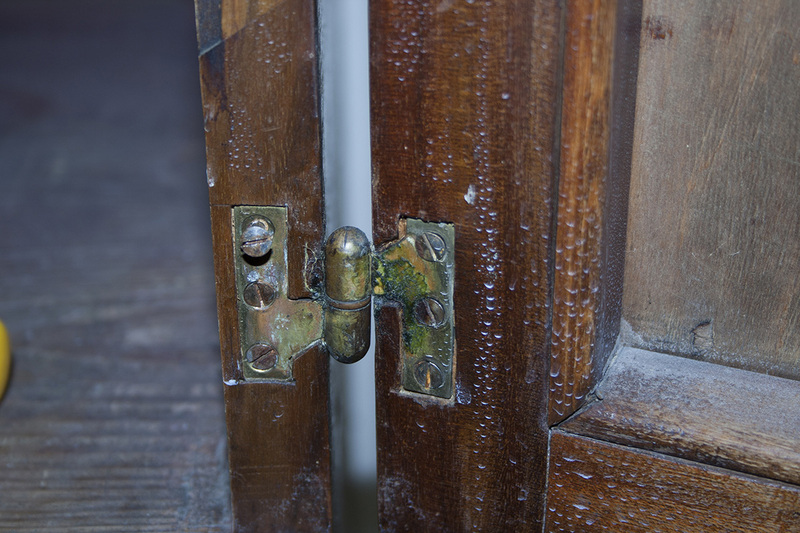 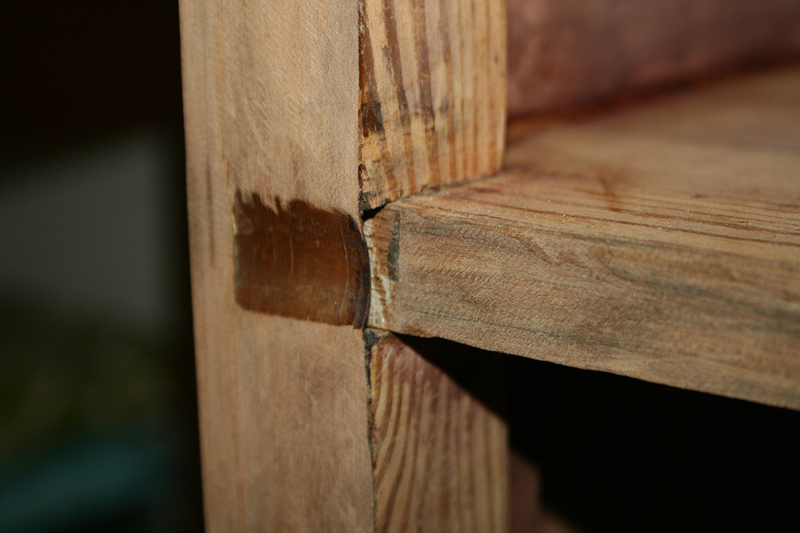 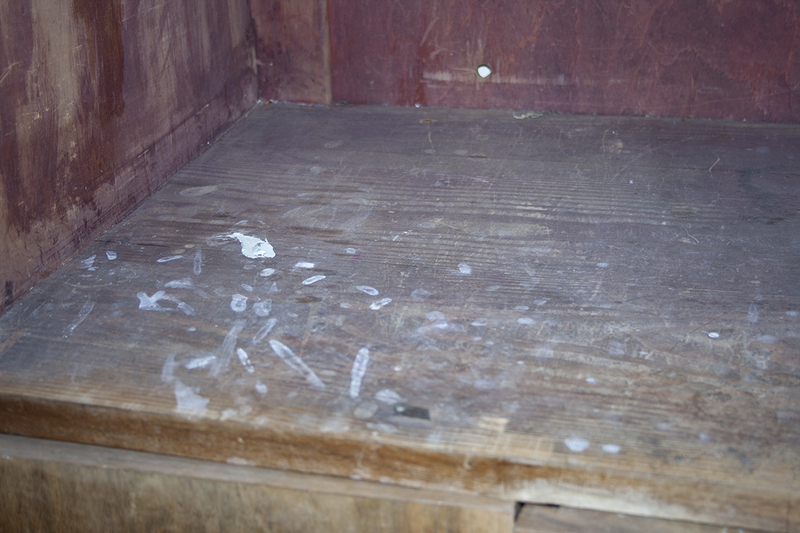 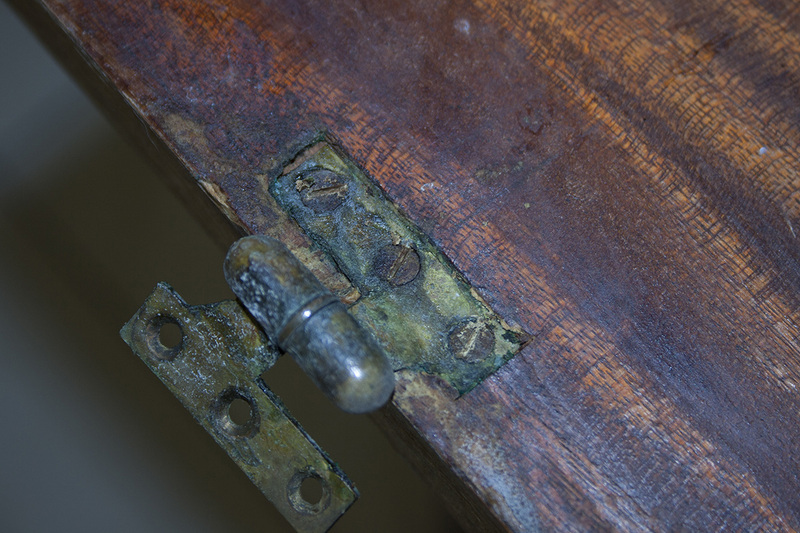 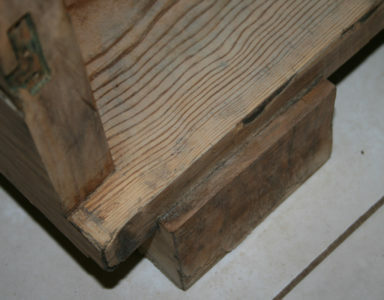 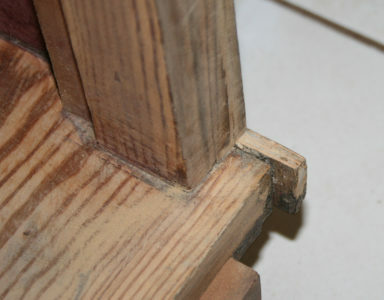 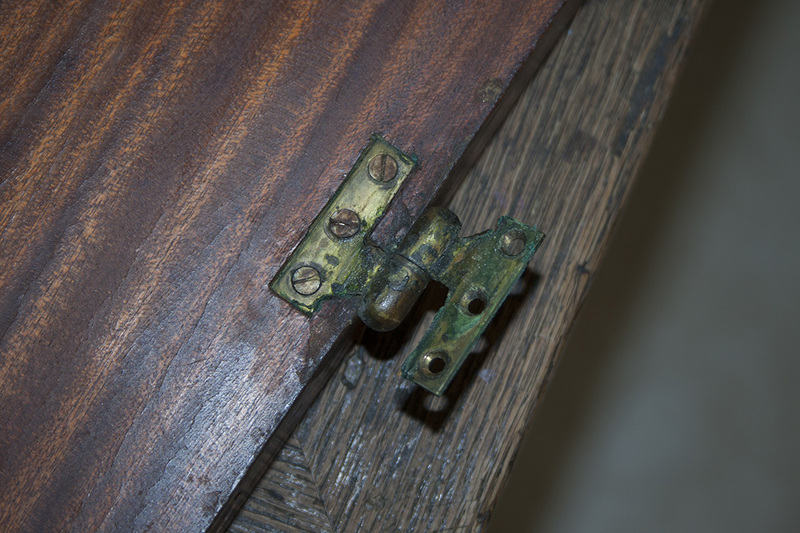 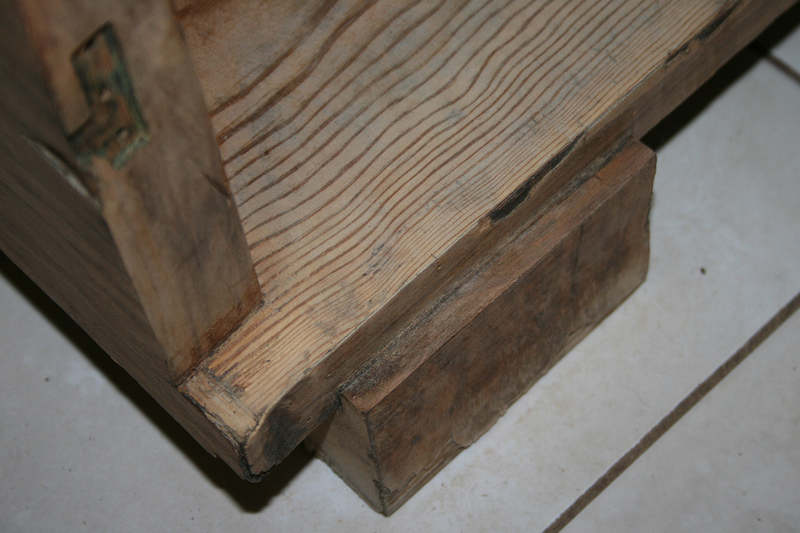 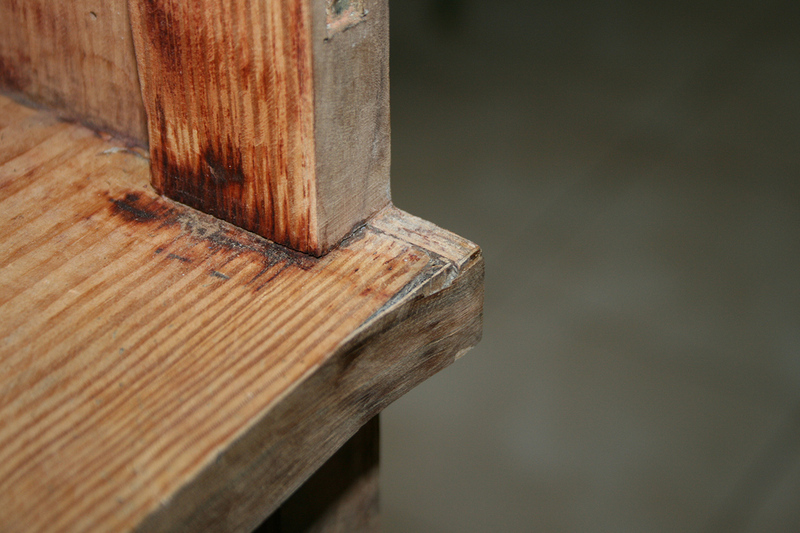 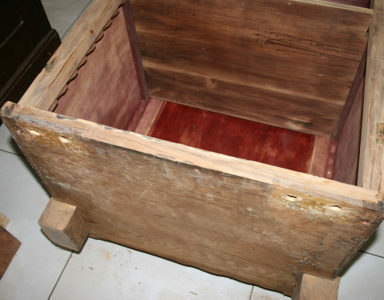 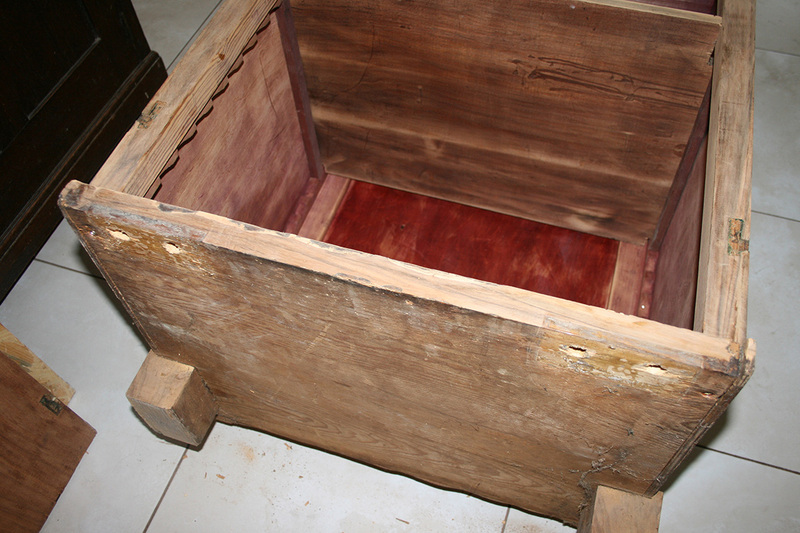 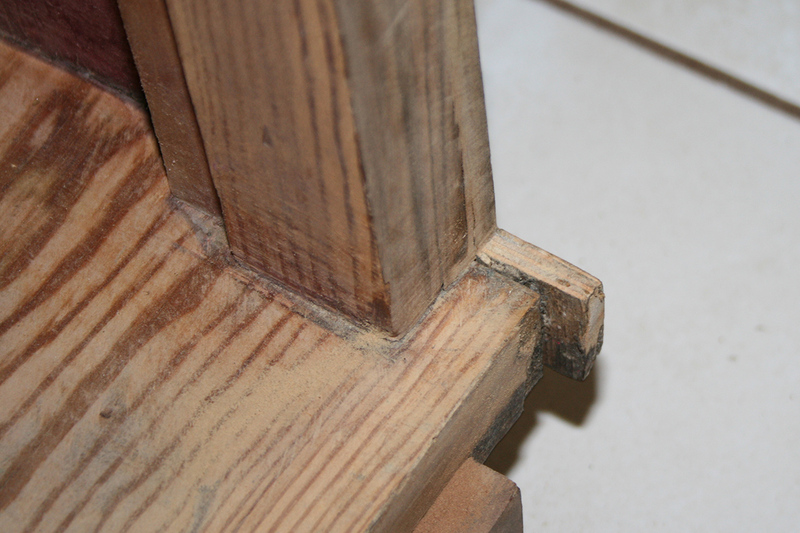 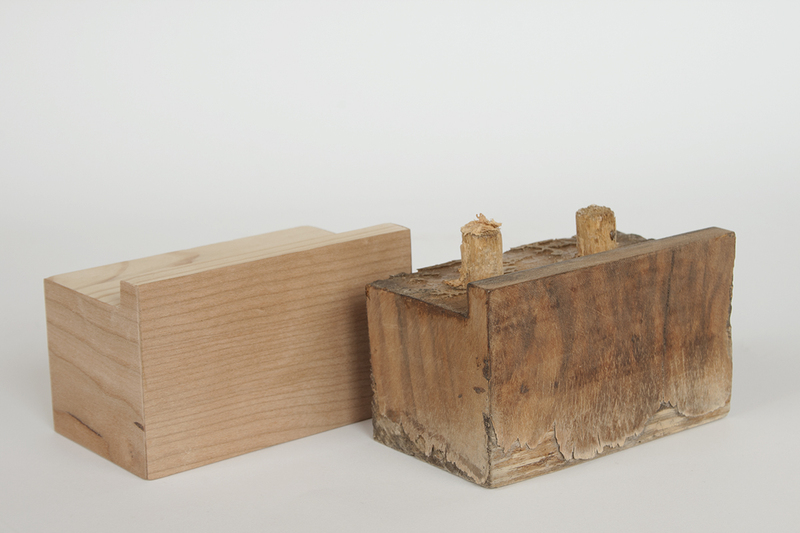 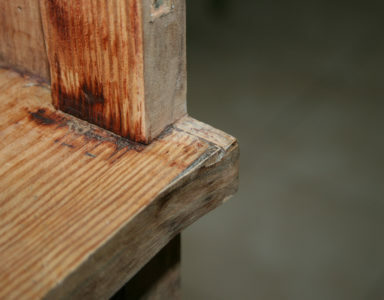 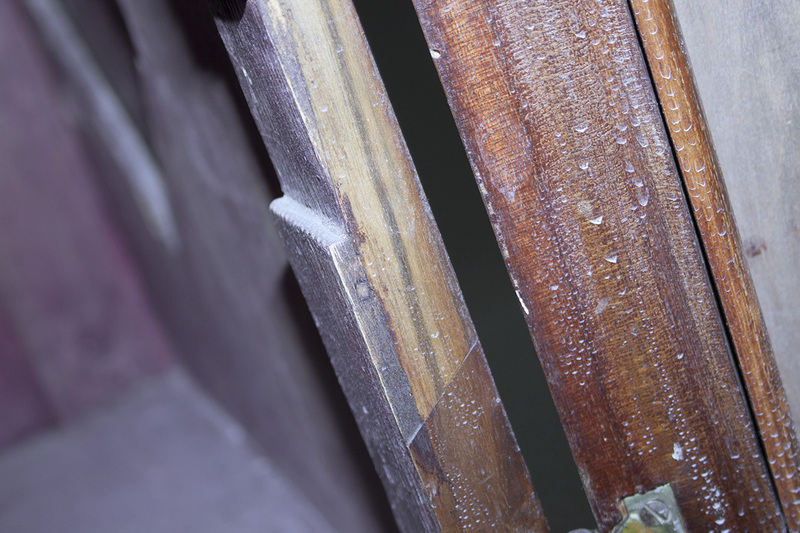 The fact that the cabinet was stored in a damp area highly increased the risk of fungus inside the wood. 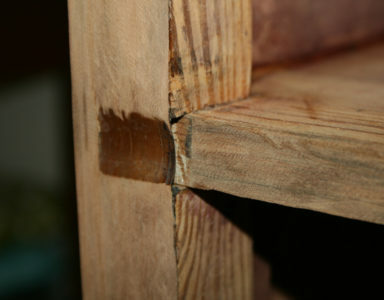 Luckily, the problem did not occur at all. 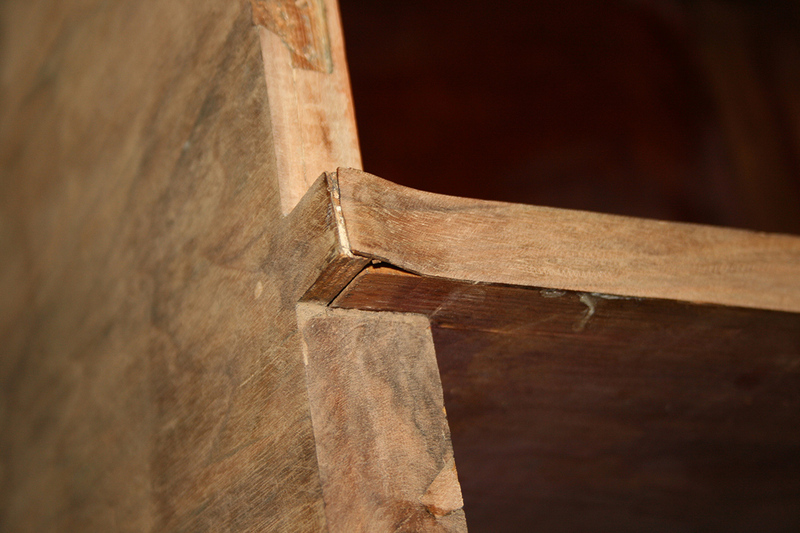 The deformed door leaves proved to be a challenge. 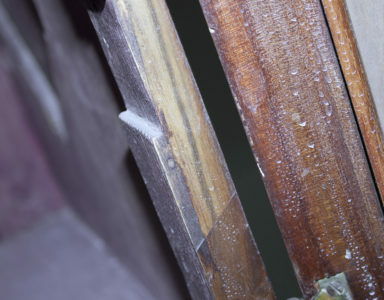 They could not be stabilised in any way against the side walls. 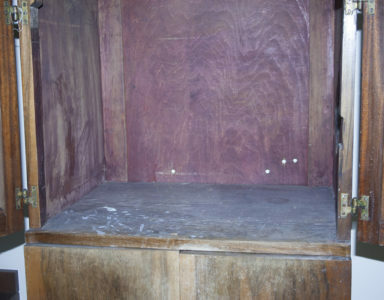 Fortunately, this was also taken care of. 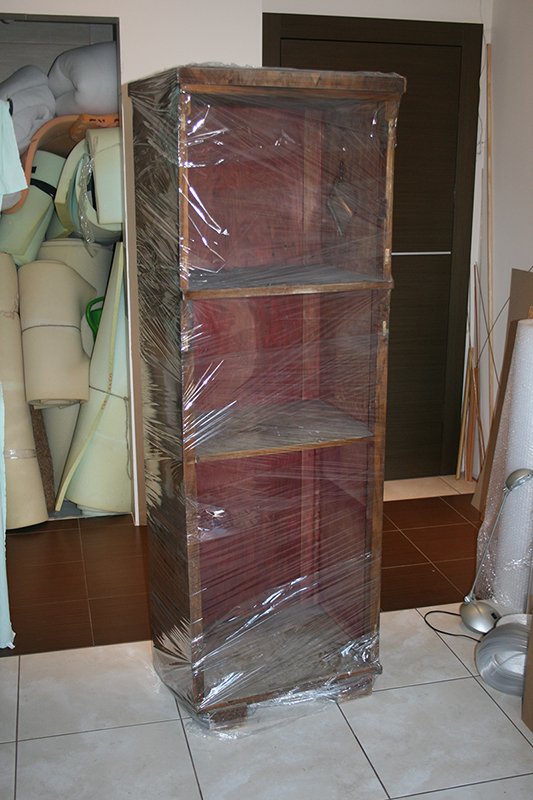 In general, the renovation and reconstruction process was a very pleasant experience and we know that the cabinet gained a second life. 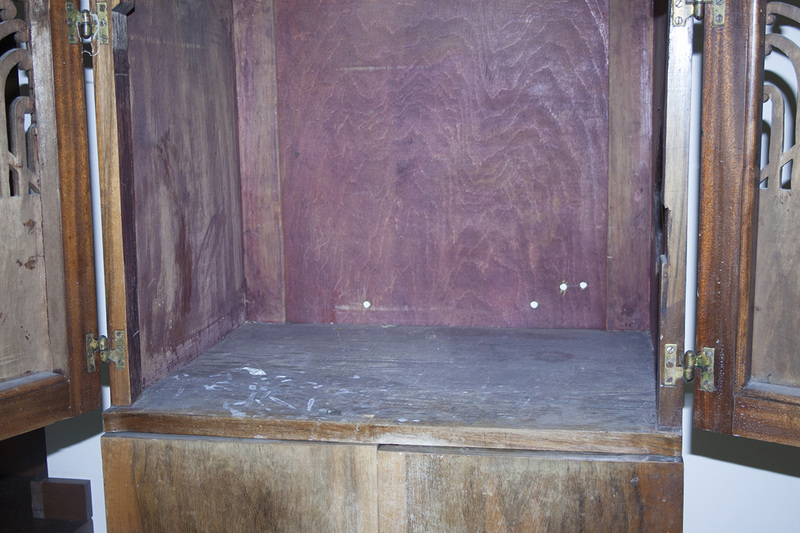 Apart from the extraordinary appearance, the cabinet became a cabinet for its owner’s vinyl records.